This UFO really embarrasses me. 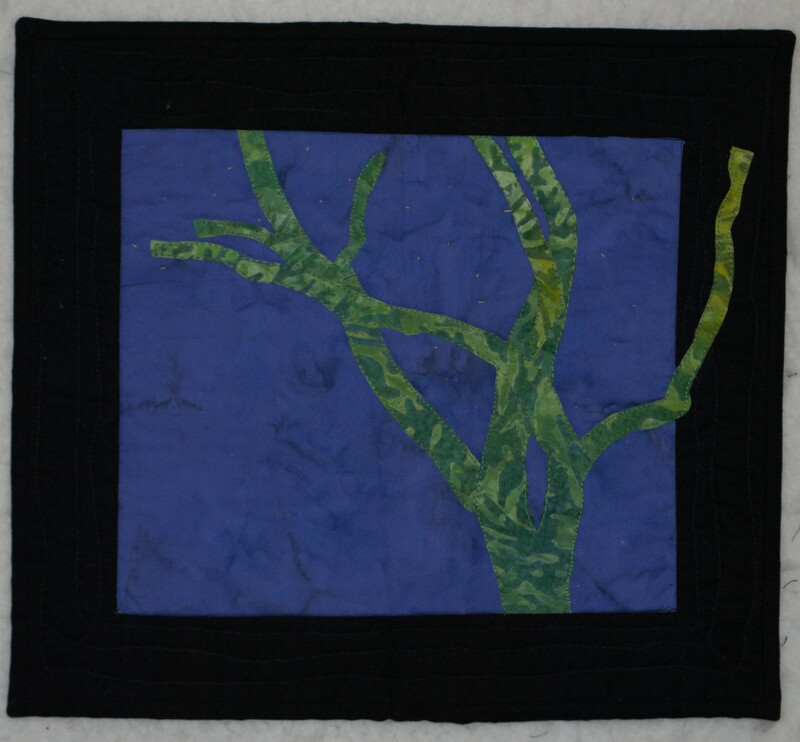 It was inspired by the view of a neighbor’s tree from my third floor quilt studio window in a house we sold in 2009. I made the quilt in 2008. (Yes, that’s eight years ago. Or at least 7, because I might have made the quilt in the fall of 2008.) The reason it was a UFO was because I wanted to mail it to our neighbors. Yes, you read that right. It’s been sitting in my UFO drawer for YEARS waiting to be MAILED. I made up for the delay by shipping it with a way to hang it so that if my neighbors wanted to hang it, they could pull it right out of the envelope and put it up. If I don’t finish another project this year, I will be happy that I got this one out of the drawer.